One of the most common complaints about Crimes of Grindelwald is the inclusion of Professor McGonagall, but everyone’s concerns about changing when she was born may be for nothing. I have to admit, when I first walked out of the theater I complained about McGonagall’s presence in the film. I felt her introduction was pure fan service and was a pointless contradiction of canon, which everyone thought put her birth year at 1935. I couldn’t have been more wrong. After diving into some lesser known writings from J.K. Rowling, I believe McGonagall being a professor at Hogwarts during the events of Crimes of Grindelwald — in the late 1920’s — is canon. The only debate is whether or not this new information is a retcon. I believe that the evidence will show that the events of Crimes of Grindelwald align with the previously known canon. I, along with most of the community, have been under the assumption that McGonagall was born in 1935. This birth year was calculated by using two quotes. The first quote is from Order of the Phoenix. “How long have you been teaching at Hogwarts?’ Professor Umbridge asked. 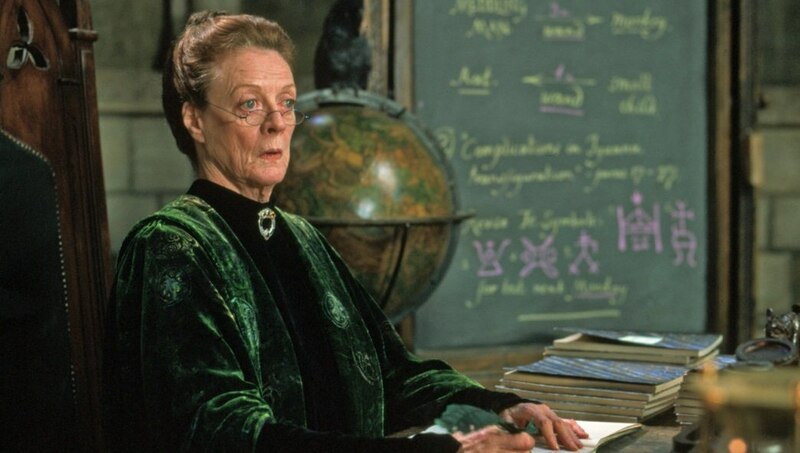 This scene takes place in 1995 so fans have (pretty fairly) assumed that McGonagall started her teaching career in 1956. In 2016, Pottermore published a short ebook with stories by J.K. Rowling titled Short Stories from Hogwarts of Heroism, Hardship and Dangerous Hobbies (Abbreviated as SSfH). An excerpt from this eBook provides us with the final piece of information needed to calculate McGonagall’s birth year. From these quotes, it would be fair to say that McGonagall was born in 1935, enrolled at Hogwarts in 1947, graduated in 1954, worked at the Ministry for two years, and then returned to Hogwarts as a teacher in 1956. By only looking at these two quotes, this is a viable timeline. However, we have more information to consider. I believe that there is significant evidence that points to McGonagall being born much earlier than 1935. There are several reasons to believe that McGonagall was born much earlier than the 1930’s. For starters, witches and wizards are known to have a much longer life expectancy than muggles. 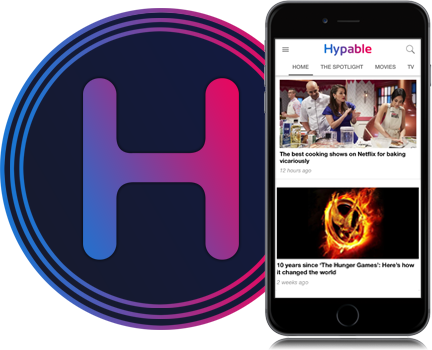 This can be seen by the age of several characters such as Albus Dumbledore, Aberforth Dumbledore, Bathilda Bagshot, Ron’s Aunt Muriel, Elphias Doge…. This list goes on and on. A 60 year old witch would not be considered “old” when you have characters like Aberforth running around at age 110. In the Harry Potter series, both Hermione and Madam Pomfrey seem to consider Professor McGonagall as old and frail — potentially making her well over 100. If Professor McGonagall was truly born in 1935, she would have been 60 years old at the time of these events. 60 is practically middle aged for a witch. In Short Stories from Hogwarts of Heroism, Hardship and Dangerous Hobbies, we learn that Professor McGonagall’s former boss at the Ministry proposed to her shortly after the first defeat of Voldemort in 1981. If Professor McGonagall was born in 1935, this would make her 46 years old at the time. Elphinstone is described as both white-haired and retired in this excerpt. We do not know how much older Elphinstone is than McGonagall. It is possible, though I believe it is unlikely, that he is significantly older than her. Unless her old boss and husband to be was 20+ years older than her, it seems unlikely that McGonagall was born in 1935. What’s more, McGonagall seems to have been close with Albus Dumbledore before he confronted Grindelwald in 1945. This can be read in two different ways. Either Professor McGonagall was told the history between Dumbledore and Grindelwald before 1945 or he had confided the information to her after his legendary duel. I believe this excerpt heavily implies that McGonagall was friends with Dumbledore before 1945, but it is not conclusive proof. If you need conclusive proof, consider this quote which strongly suggests McGonagall was friends with Dumbledore before 1945. There are two ways to explain why McGonagall “did not teach” Tom Riddle. Either she was too young (born in 1935) or she had taken a leave of absence from Hogwarts. To me, the quote reads like she was privy to Dumbledore’s fears while he was teaching Tom. This would mean that McGonagall must be older than the fans have originally thought. We already know from HBP that Dumbledore chose not to give his fellow faculty members any information about Tom Riddle’s behavior at the orphanage. He decided to give Tom a chance to redeem himself. “Didn’t you tell them, sir, what he’d been like when you met him at the orphanage?’ asked Harry. It makes perfect sense for Dumbledore to be confiding his fears about this young parselmouth to his friend Minerva McGonagall. Another possible explanation is that Dumbledore could have spoken to McGonagall about Tom Riddle after Tom had graduated Hogwarts. This conversation between McGonagall and Dumbledore could only have taken place while he was at school between the years of 1938 and 1945 because any later would have been pointless. Dumbledore’s fears and suspicions were already realized just a few short years after Tom’s graduation. A quote from another Pottermore eBook Short Stories from Hogwarts of Power, Politics, and Pesky Poltergeists (SSfHP) about Horace Slughorn gives us information about when Lord Voldemort began becoming public knowledge. If Voldemort was well known just “a few years” after his graduation in 1945, then Dumbledore would have no need to confide his fears about Tom Riddle to McGonagall. His fears would already have been realized. The final piece of information that is necessary to determine the approximate year that McGonagall was born is this line that confirms McGonagall was a student of Dumbledore’s. Rowling’s work claims that McGonagall had a “long and varied career”. I don’t believe that if she was born in 1935 her career could be classified as “varied”. She would have worked at the Ministry for two years, taught Transfiguration for over four decades, and finally become Headmistress of Hogwarts. I believe this statement aligns much better with the alternate timeline that places her birth in approximately 1889. In this timeline, it is unknown what she was doing while not teaching at Hogwarts. For a witch as skilled as McGonagall, we can be sure it was something impressive. Maybe J.K. Rowling has a good reason for omitting this from the biography. It is possible that she did not want to reveal McGonagall’s role in the future Fantastic Beasts movies while writing her biography for Pottermore. All of this evidence points to McGonagall being born before 1935. The only question that remains is whether or not it is possible to construct a timeline of events that matches all of the information we have been given. The following gives an exact year that McGonagall could have been born that satisfies both book canon as well as the fact that McGonagall appears in Crimes of Grindelwald. First, we have to determine when Dumbledore began teaching at Hogwarts. Dumbledore graduated in 1899. The earliest year that Dumbledore could have started teaching was 1901. We know this because Dumbledore was not planning to teach the year after he graduated. Dumbledore was planning to stay at home and watch his sister Ariana while his brother Aberforth was at Hogwarts that year. McGonagall is shown teaching at Hogwarts in 1910 which means that she graduated Hogwarts no later than 1908. We do not know how many years Dumbledore taught McGonagall. However, we can now construct a timeline that aligns with all of the information that we know. This timeline aligns perfectly with all canon material. It shows that McGonagall could very well have been teaching Transfiguration at the time of Crimes of Grindelwald. However, this is only one possible timeline. McGonagall’s birth year can be shifted by a few years without creating any contradictions. The Harry Potter fandom, myself included, has been too quick to attack J.K. Rowling for this apparent contradiction to the canon. Before complaining about “changes to the canon” in Crimes of Grindelwald, we should improve our ability to research and analyze the canon that we have been given. 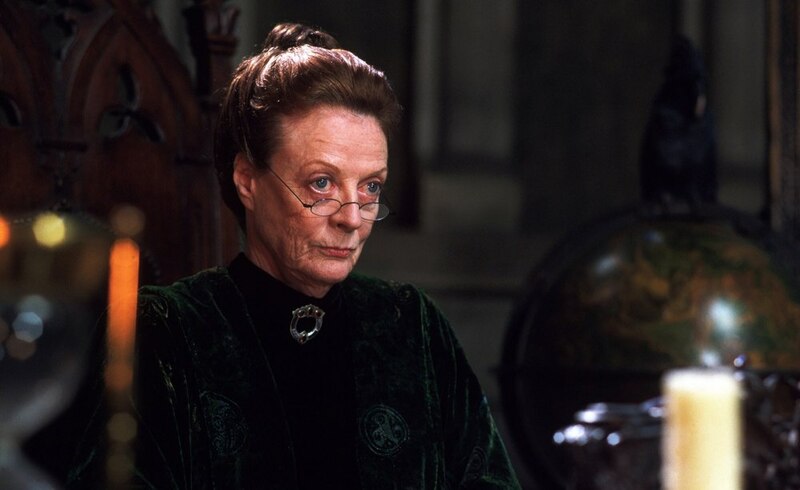 Does McGonagall’s 1889 birth date make sense to you? We’d like to hear your thoughts in the comments below!